Pope Francis arrives in UAE on 27th Apostolic Journey abroad - This is the first time a Pope has visited an Arabic peninsula. Pope Francis will preside at a Mass with over 130,000 people present. 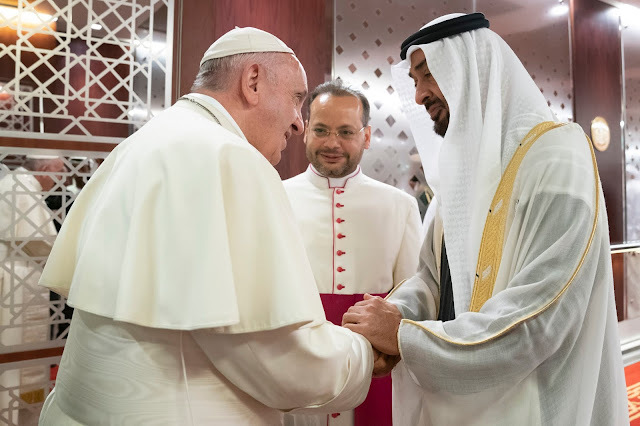 Like the dove carrying an olive branch on the journey's official logo, Pope Francis sets foot in the Gulf region as a herald of peace with a message of hope for the future of mankind.